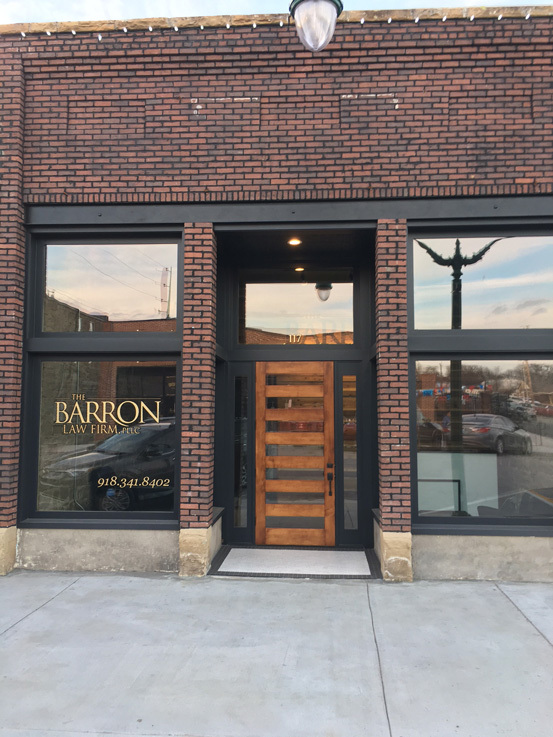 At The Barron Law Firm, we will meet with you face-to-face and walk with you every step of the way. We care about our clients and want to be there for them in the most difficult time of their lives...and we only get paid when you do! The Barron Law Firm, PLLC, represents plaintiffs in civil litigation across Oklahoma and other states. Our primary office is based in Claremore, Oklahoma. We also have offices in Nowata, Oklahoma and Oologah, Oklahoma. The firm is deeply committed to serving Oklahomans fighting against insurance companies, predatory lenders, national banks, oil/gas companies, or who have been injured in an accident. Our lawyers offer a creative and specialized approach to each case. Each individual clients case is thoroughly examined with one thing in mind – achieving the very best result for that individual client. 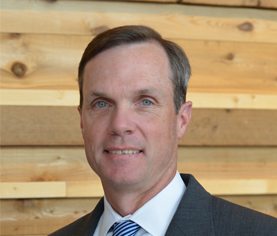 Brad represents plaintiffs in state and federal courts across Oklahoma and the United States. He has extensive experience arguing cases throughout Oklahoma and has argued at United States Tenth Circuit Court of Appeals. Brad handles all aspects of class action and complex civil litigation cases against insurance companies, national banks, predatory lenders, and oil/gas companies. In addition, over the last twenty years Brad has handled a wide range of personal injury and wrongful death cases. Brad’s career has focused on helping those who find themselves in a very difficult time of life and need help the most. Brad served as co-lead counsel representing approximately 150 children suffering from lead poisoning living in the Tar Creek Superfund Site of Picher, Oklahoma. He has been appointed lead counsel in class actions against insurance companies, oil and gas companies, and debt collection companies. Over his career Brad has recovered tens of millions of dollars for his clients. Brad and his wife Brynn have three children Sam, Olivia, and Julia. The family lives on a ranch East of Lenapah, Oklahoma. Brad serves on the Oklahoma Union Public School Board and volunteers his time helping a variety of community groups in Nowata County, Oklahoma. 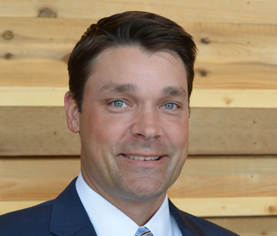 Zach graduated from Baker University with bachelors of science degrees in business and accounting in 1998 and received his Juris Doctorate from the University of Tulsa College of Law in 2001. He was admitted to practice law in Oklahoma in 2001. Since his admission to practice law, Zach has represented individuals and businesses involved in civil litigation. His practice includes complex litigation, class actions, personal injury, wrongful death, civil rights violations, consumer law violations, insurance law, estate planning, and probate. He has filed cases on behalf of plaintiffs in state and federal courts across Oklahoma and the United States. He has also handled appeals in the Oklahoma Supreme Court, Oklahoma Court of Civil Appeals, and the United States Tenth Circuit Court of Appeals. Over the course of his career Zach has recovered millions of dollars on behalf of his clients. Zach has been selected for inclusion in Oklahoma Super Lawyers Rising Stars for the personal injury – general plaintiff practice area in 2013, 2014, 2015, 2016, and 2017. He is a member of the Oklahoma State Bar, the Tulsa County Bar Association, the Rogers County Bar Association, and the Oklahoma Association for Justice. Outside the practice of law, Zach and his wife, Missy, are the parents of three boys. He also serves on the Oologah-Talala Public School Board of Education and enjoys volunteering to assist community groups.